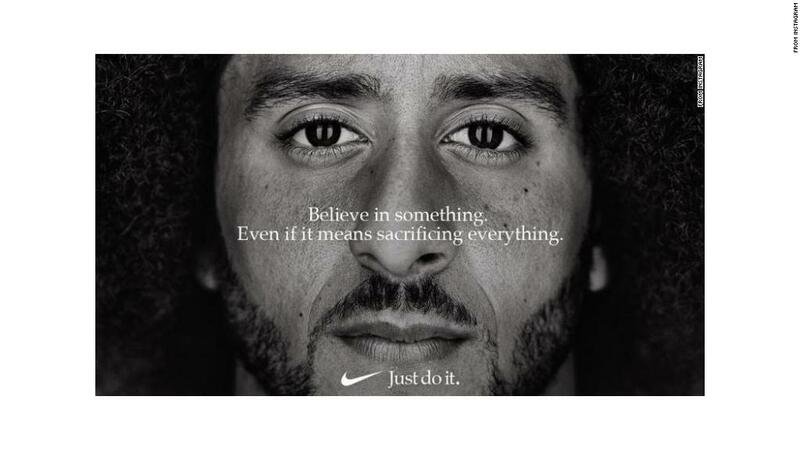 Companies and brands often attempt to avoid taking strong public positions out of fear of alienating customers, but Nike is running straight into the political fray. Kaepernick will be one of the faces of Nike's 30th anniversary commemoration of its iconic "Just Do It" slogan. The campaign will also feature athletes such as Serena Williams, NFL wide receiver Odell Beckham Jr., and Shaquem Griffin, a rookie linebacker for the Seattle Seahawks whose left hand was amputated when he was a child. Kaepernick tweeted out a photo from the campaign on Monday. Over a black-and-white picture of his face, a caption reads, "Believe in something. Even if it means sacrificing everything." In 2017, he filed a grievance against the NFL, alleging the league conspired to keep him out because of his protests. An arbiter last week denied the NFL's request to throw out the grievance, allowing the case to proceed to a trial. Those rules are on hold while the league and the players' association negotiate. Nike's public support of Kaepernick also risks drawing the anger of President Donald Trump. "This is a very winning, strong issue for me," Trump told Dallas Cowboys owner Jerry Jones last year, according to a sworn deposition Jones gave in connection with Kaepernick's lawsuit. On Saturday, Williams praised Kaepernick and former 49ers' defensive back Eric Reid, who joined Kaepernick as one of the first to protest through kneeling and who is now also without an NFL team. "I think every athlete, every human, and definitely every African-American should be completely grateful and honored how Colin and Eric are doing so much more for the greater good," she said. Nike's relationship with the NFL is also at play here. The brand is the official uniform sponsor of the NFL. "Nike has a long-standing relationship with the NFL and works extensively with the league on all campaigns that use current NFL players. Colin is not currently employed by an NFL team and has no contractual obligations to the NFL," Nike spokesperson Sandra Carreon-John said. Jocelyn Moore, the NFL's executive vice president of communications and public affairs, said in a statement that the league "believes in dialogue, understanding and unity." "We embrace the role and responsibility of everyone involved with this game to promote meaningful, positive change in our communities," she said. 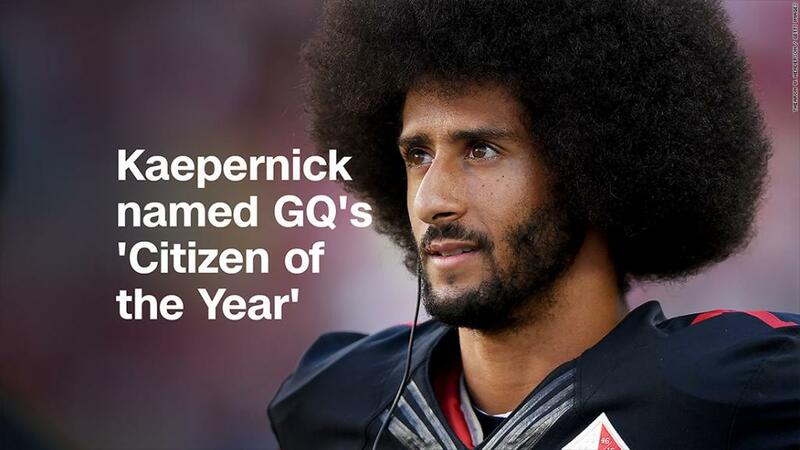 "The social justice issues that Colin and other professional athletes have raised deserve our attention and action." Nike's announcement set off fierce debates on social media. The company was trending worldwide late Monday on Twitter (TWTR), which counted more than 1.2 million tweets about the sports brand. Rich warned Nike to "get ready," suggesting millions of other customers would follow suit. The company also drew fire from Fox Sports Radio host Clay Travis, who called the Kaepernick campaign "pathetic," and former Arkansas Gov. Mike Huckabee, who tweeted, "I guess @Nike will now focus on making knee pads for NFL." But many users voiced support for the brand's decision and mocked people who claimed to be destroying their Nike products in protest, suggesting they should donate them to charity instead. Williams said she was "especially proud to be a part of the Nike family today." Outspoken sports journalist Jemele Hill argued that people shouldn't be surprised by Nike's decision based on its history. "Nike became Nike because it was built on the idea of rebellion," she wrote. "This is the same company that dealt w/ the NBA banning Air Jordans. They made [Michael] Jordan the face of the company at a time when black men were considered to be a huge risk as pitch men. They aren't new to this."